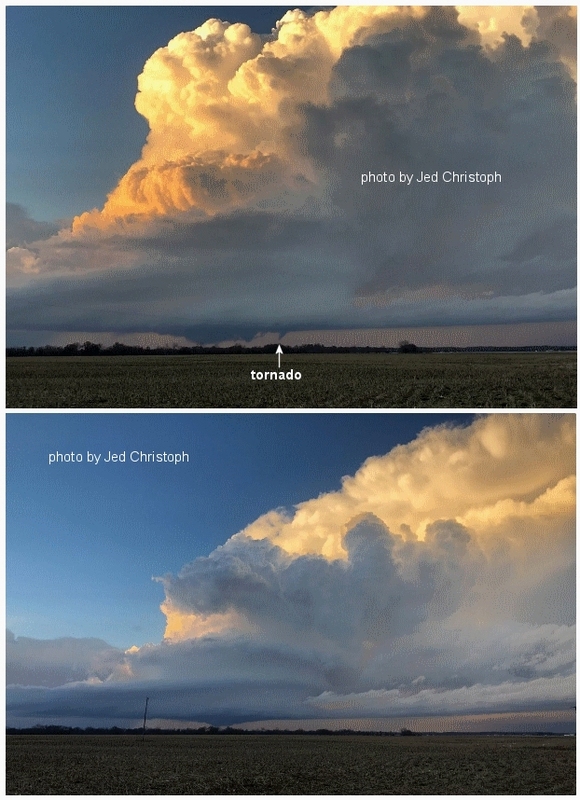 As is typical in such settings, the storms on 12/1/18 were low-topped and photogenic, as were the tornadoes. 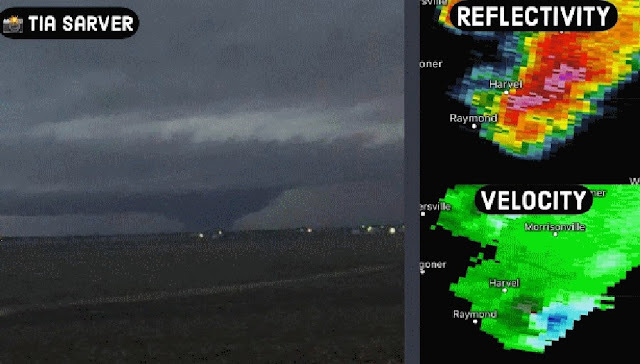 The images at the top of this post by Jed Christoph show the low-topped supercell near sunset that produced an EF3 tornado at Taylorville IL (22 injuries) at dark. 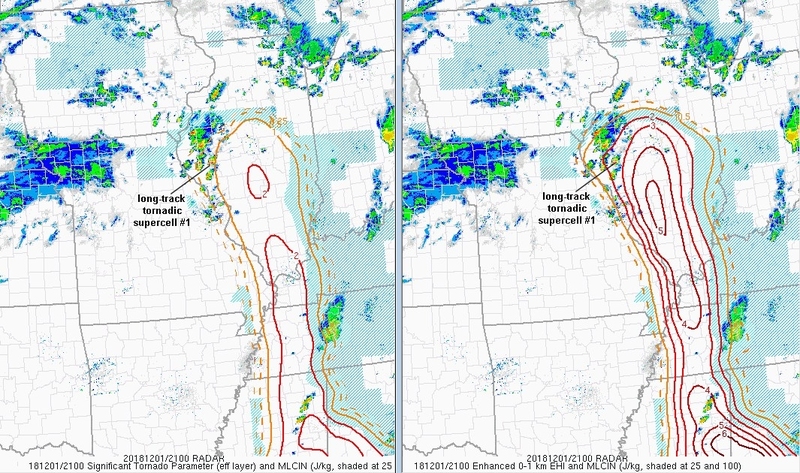 And below are tornadoes near Beardstown and Havana IL, respectively, from an earlier supercell in west-central IL. 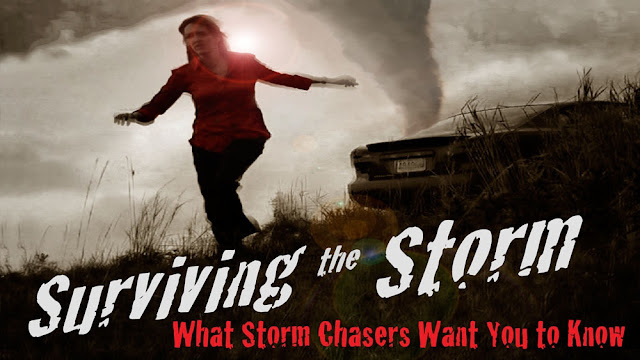 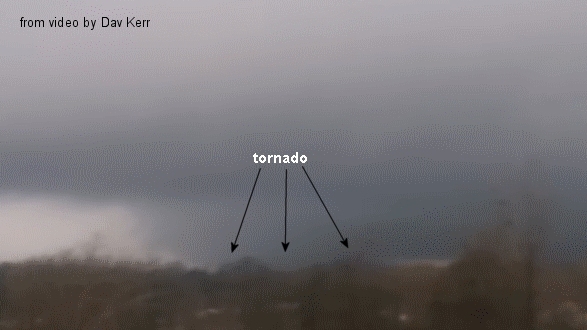 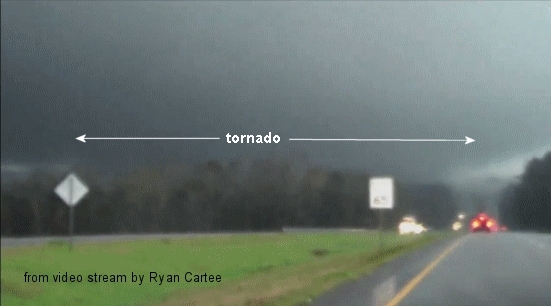 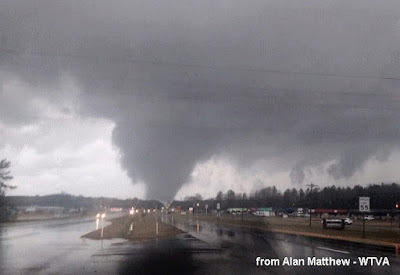 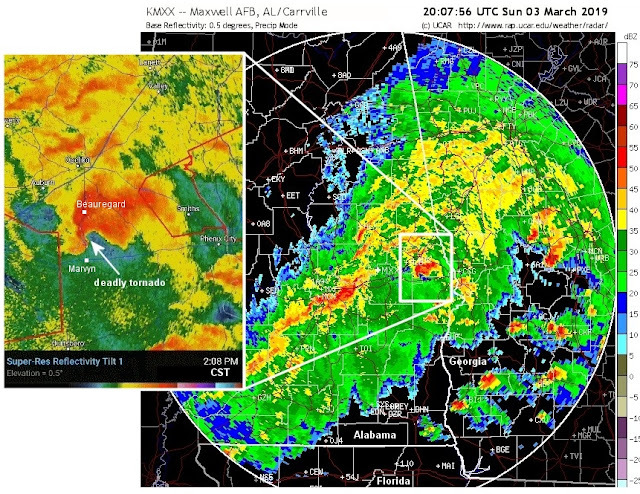 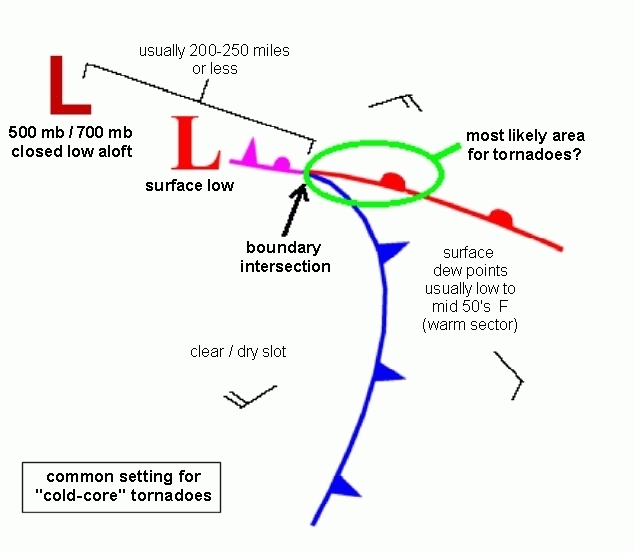 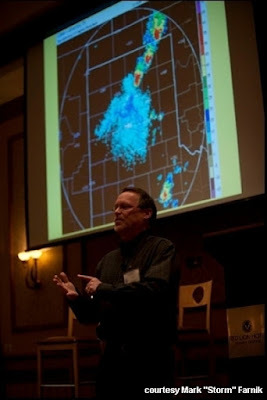 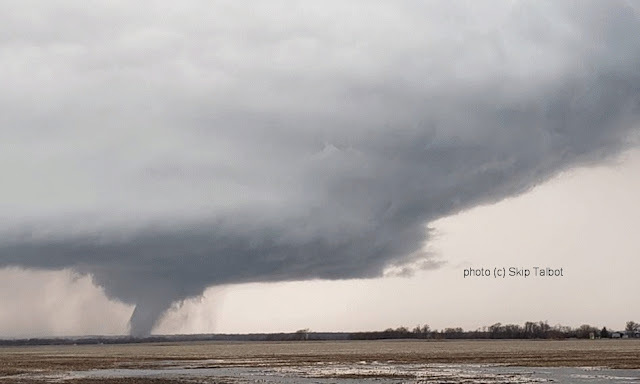 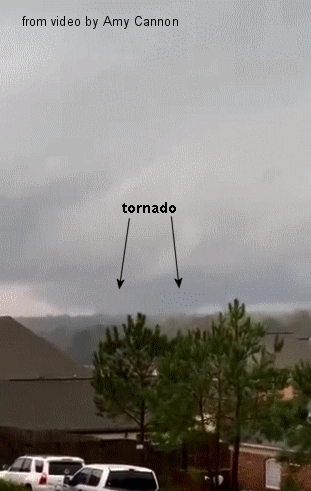 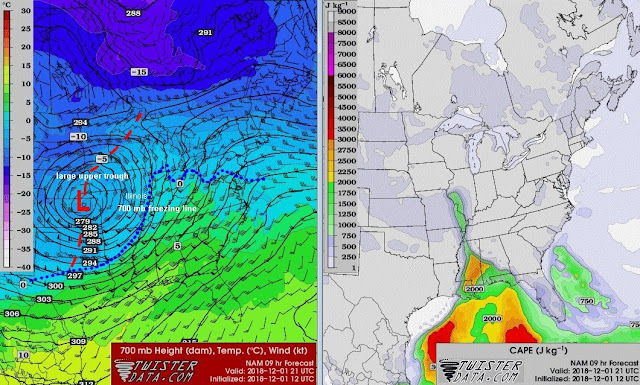 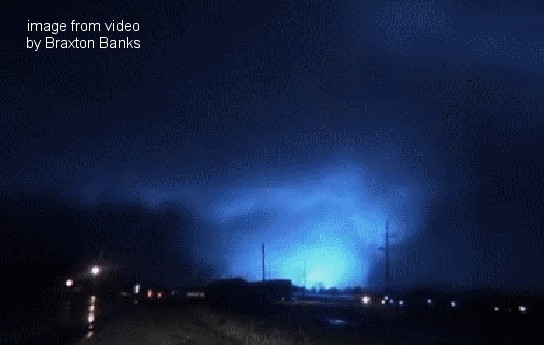 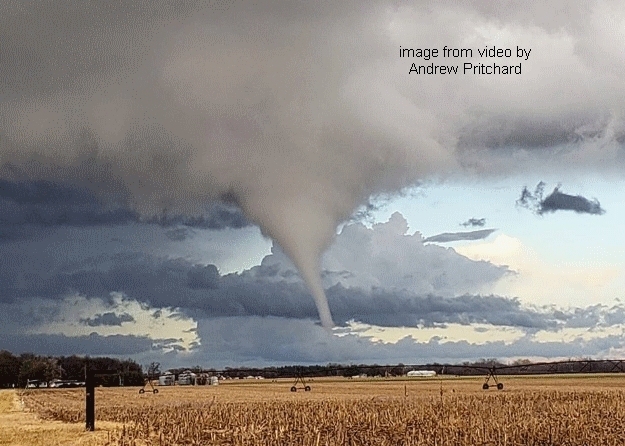 In the first image below, notice the surrounding "blue-sky" appearance so common in cold-core type tornado situations. 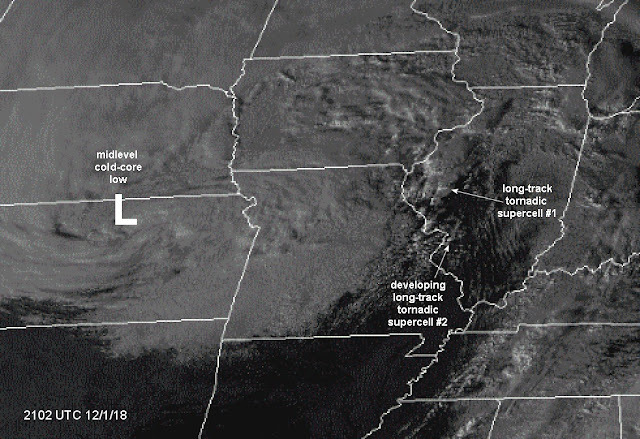 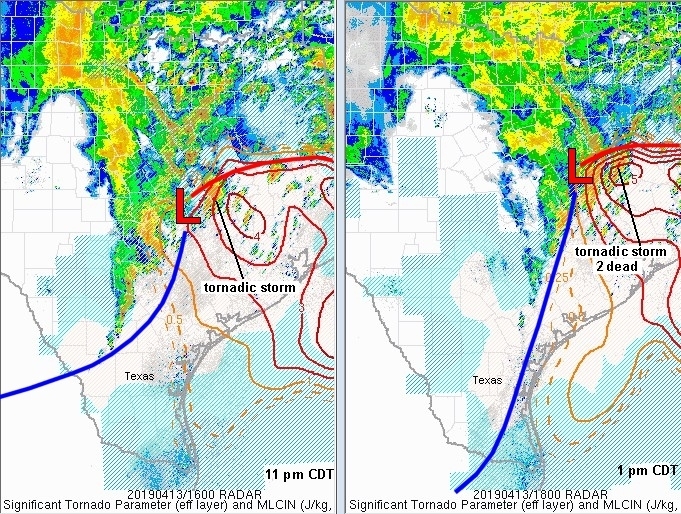 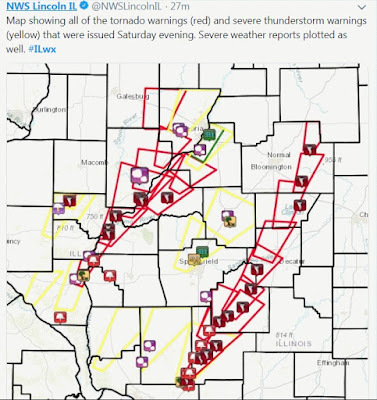 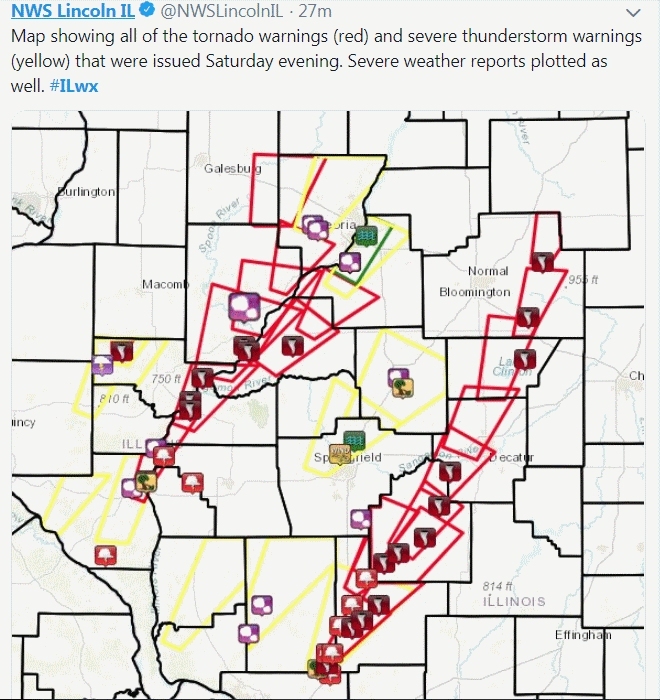 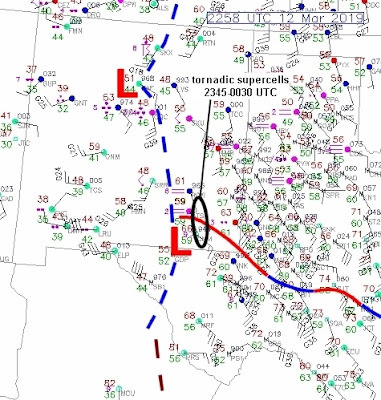 The tornadoes came primarily from these two long-track supercells beginning at mid-afternoon (see satellite photo below, and warning summary graphic from NWS Lincoln IL), and lasted into early evening after dark. Thankfully, there were no deaths due to excellent warnings and generally good visibility. 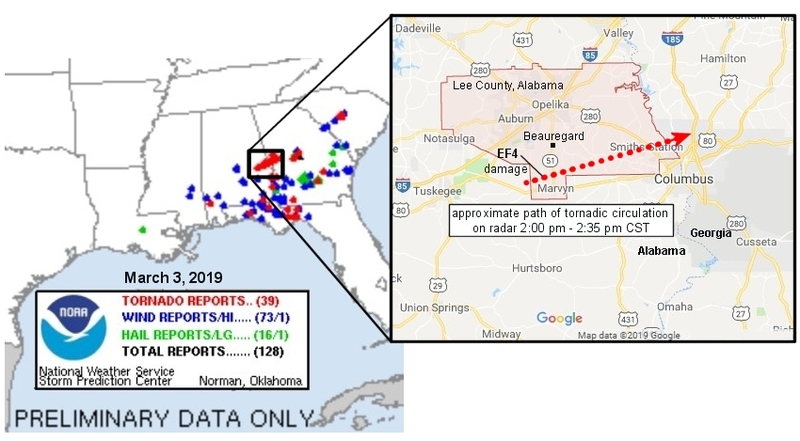 I've been asked why this outbreak wasn't better forecast. Actually, SPC did have a well-placed 5% probability of tornadoes over west-central and central IL on their Day 1 outlooks during 12/1/18. 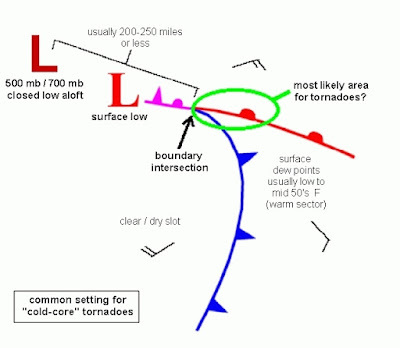 But tornado events featuring strong tornadoes associated with midlevel cold-core lows are, quite frankly, notoriously hard to pick out (see also 7/19/18 in Iowa). 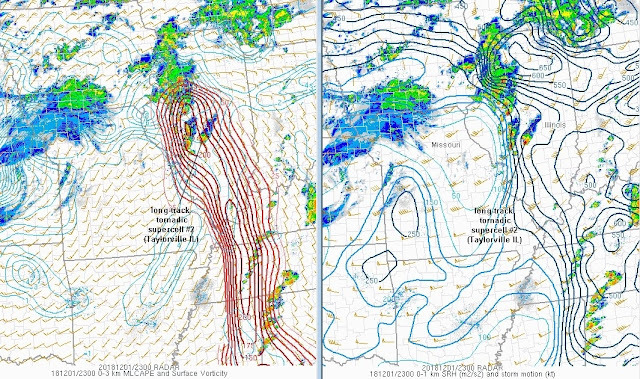 A significant issue is usually instability (CAPE) that appears less robust with a narrower axis than most strong tornado settings we're used to seeing in the Plains. 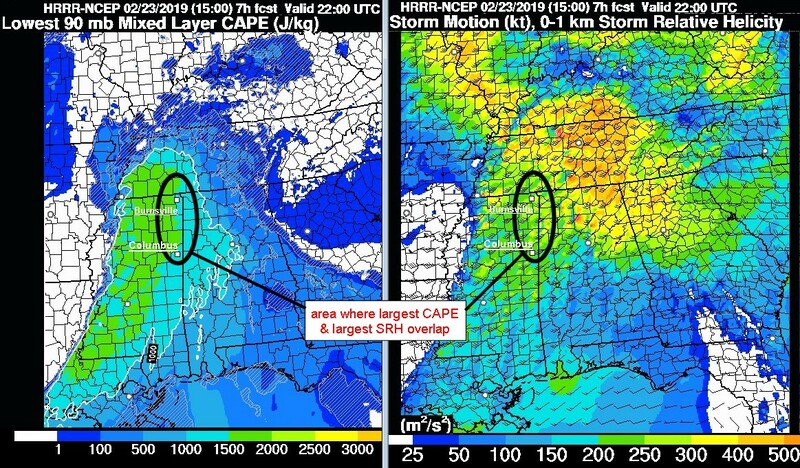 Because of colder air aloft associated with midlevel lows, what appears to be relatively weak total CAPE can be misleading, with the relevant CAPE usually located closer to the ground in cold-core scenarios. 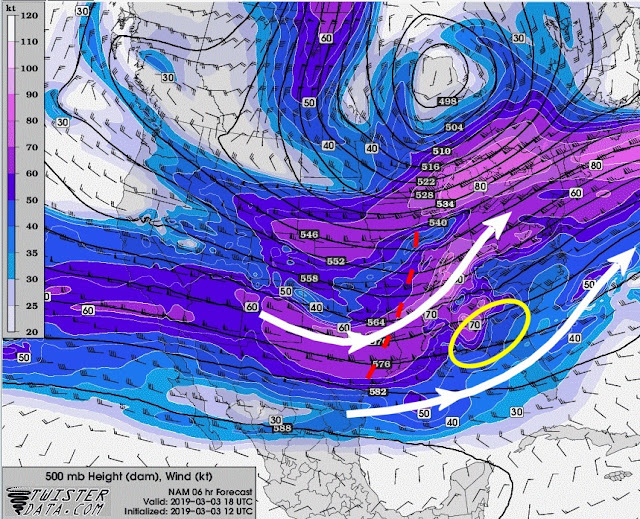 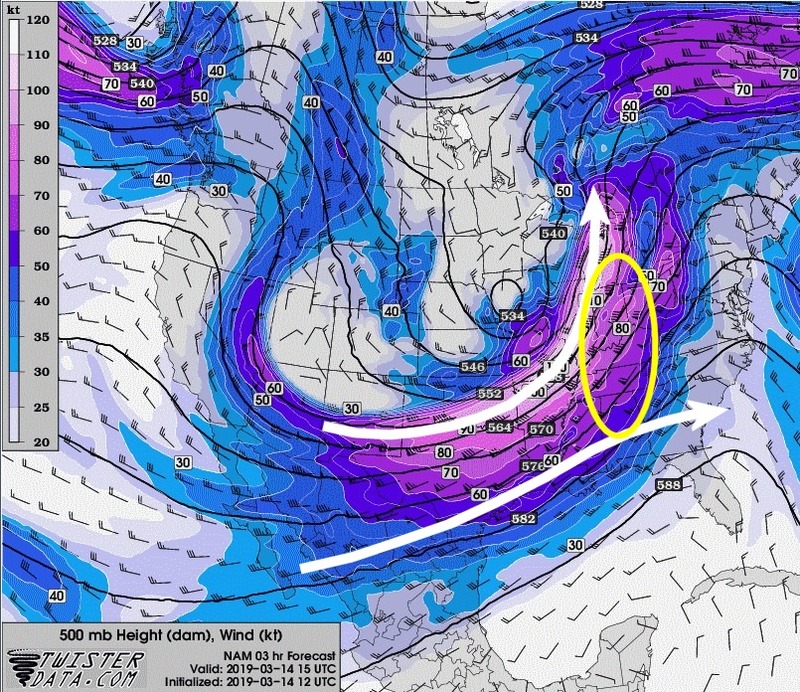 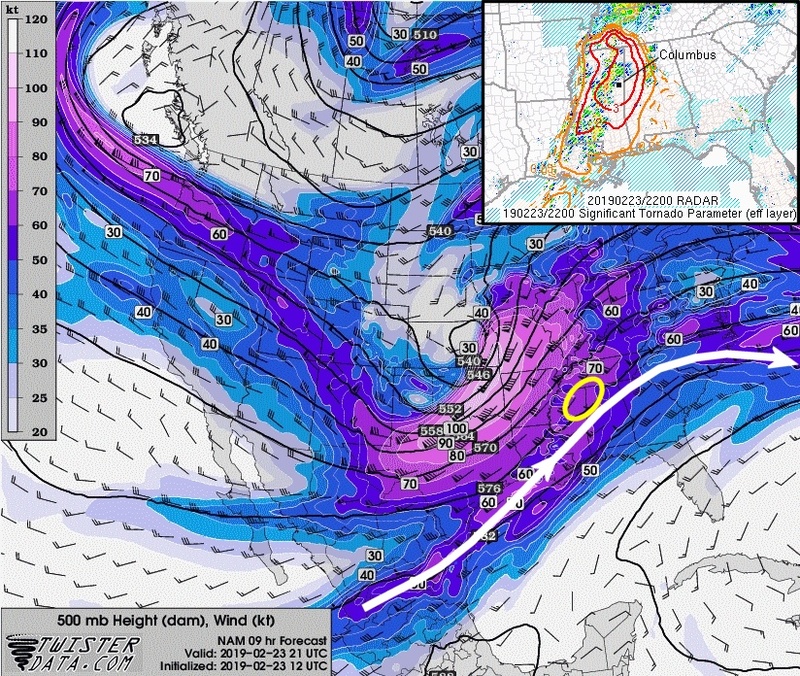 This can set the stage for increased tilting and stretching of vorticity as air in storm updrafts accelerates upward. 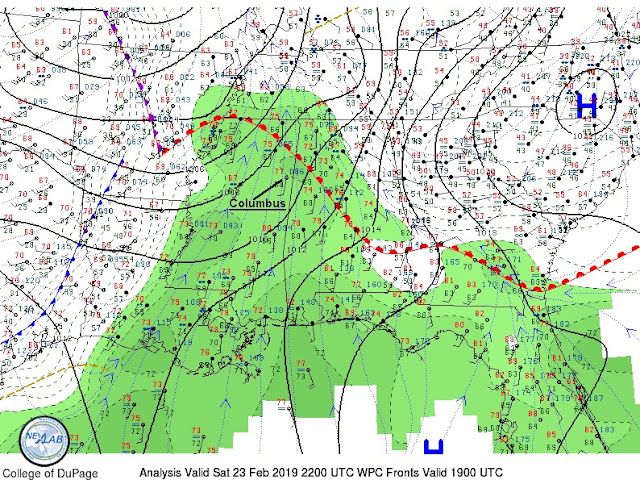 With 50's F surface dew points in the surface warm sector over Illinois beneath the cold air aloft (see surface map earlier), total CAPE values of 1000-1200 J/kg were forecast over Illinois (see second panel above). 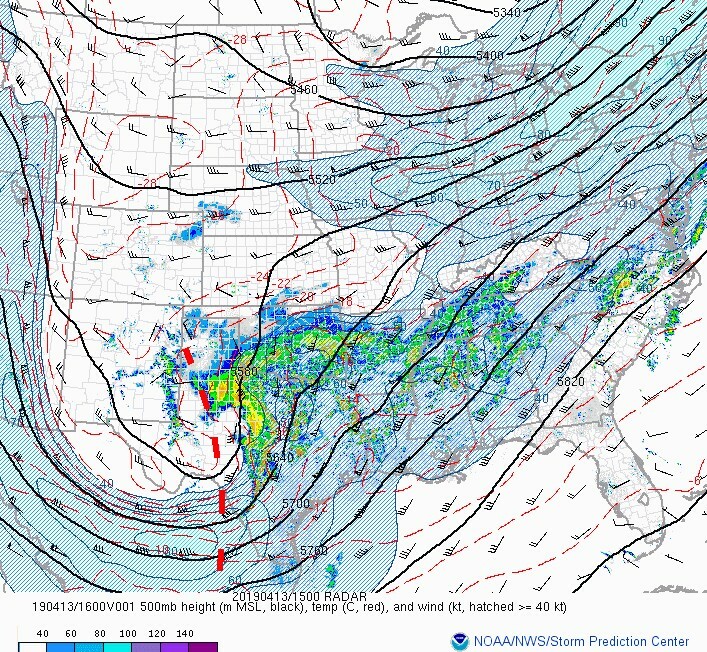 This is is pretty decent instability for a cold-core type event, certainly larger than the 200-500 J/kg found in many cold-core settings. Such large low-level CAPE isn't directly evident when examining just total CAPE values, and when combined with sizable low-level shear, it can result in strong tilting and stretching of horizontal vorticity in storm updrafts. It's interesting to note that the low-level hodograph on this profile through 3 km above ground looks like an almost "perfect" half circle. 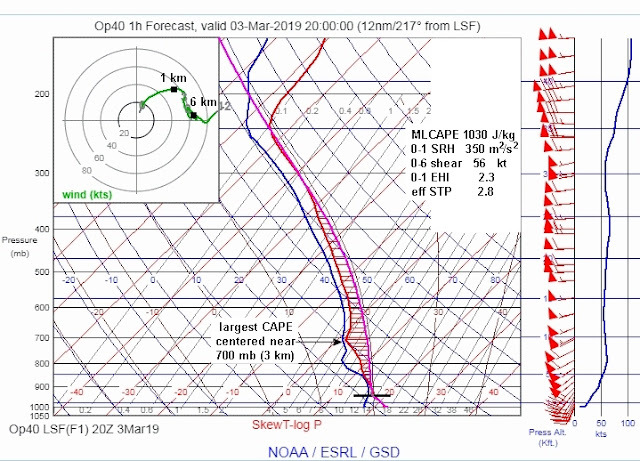 That's very optimal shear available for tilting and stretching into an updraft boosted by large low-level CAPE and upward acceleration in the lowest 3 km. 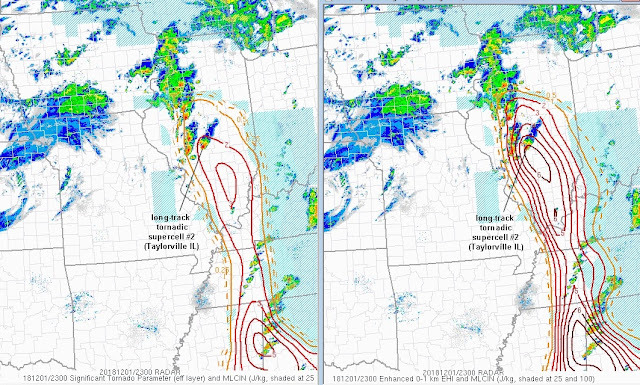 Having > 60 kts of deep-layer (0-6 km) shear in the environment also helped to organize and strengthen the Taylorville storm's updraft. 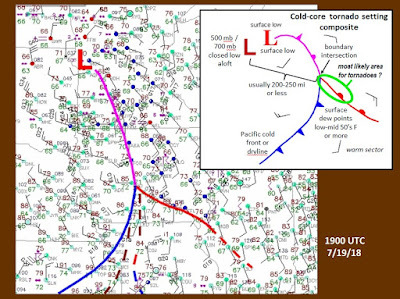 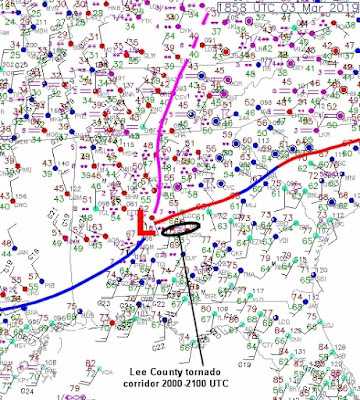 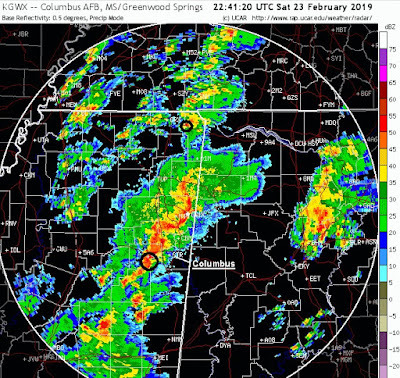 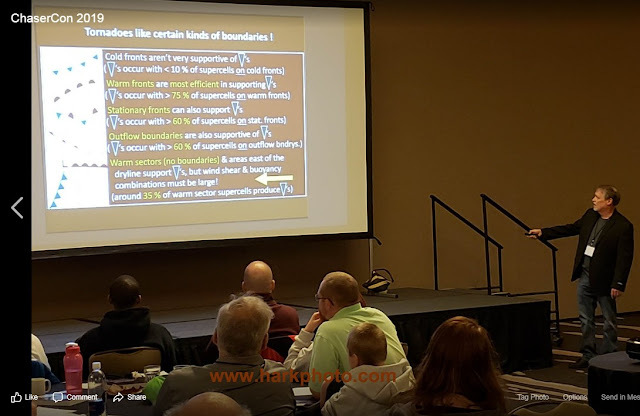 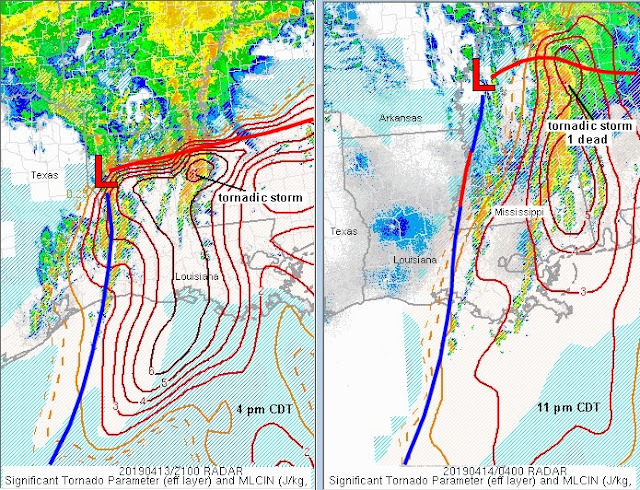 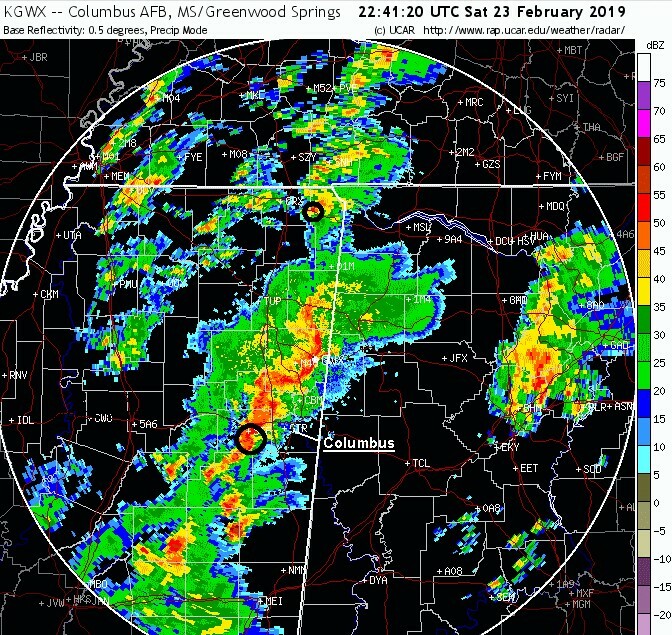 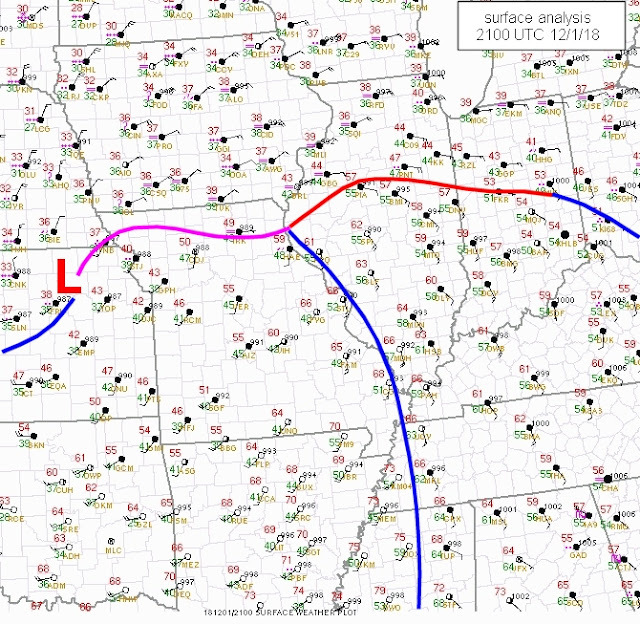 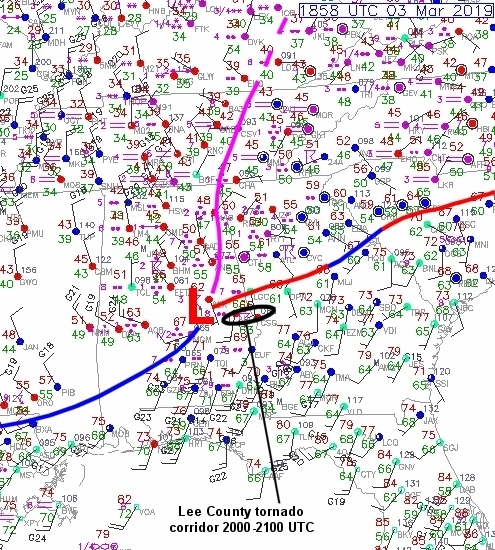 Some final thoughts to wrap up here... First, in addition to the seasonal lateness, number/intensity of tornadoes, and westward distance of the midlevel low, this cold-core event was also somewhat unusual in that the bulk of the tornadoes (particularly the Taylorville storm) occurred well within the warm sector south of the warm front, instead of close to the boundary intersection of the Pacific cool front/dryline and warm front. 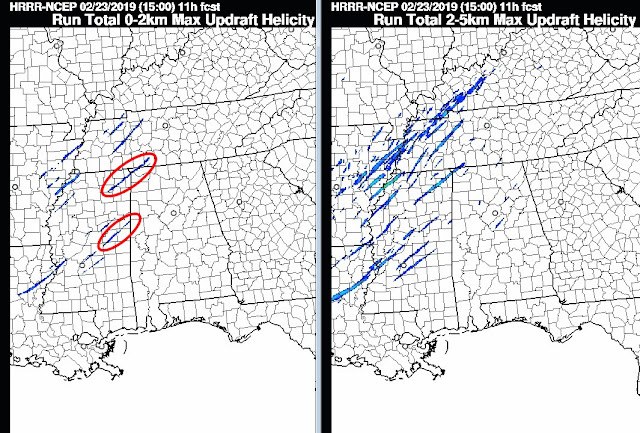 That seems to be because low-level shear was strong deep into the warm sector and co-located with large warm sector low-level CAPE. 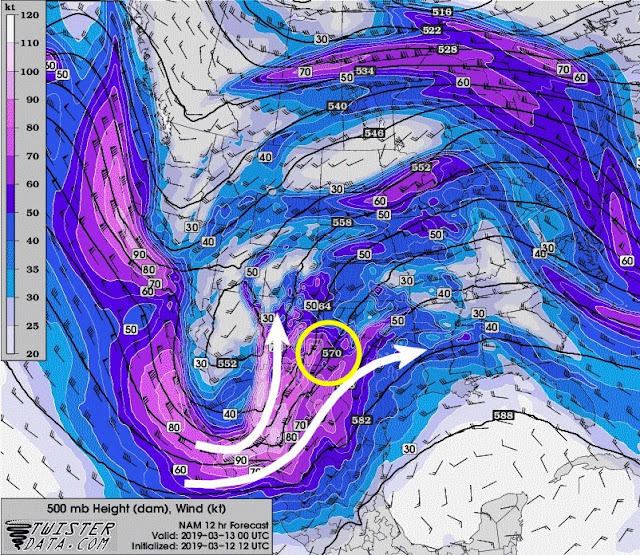 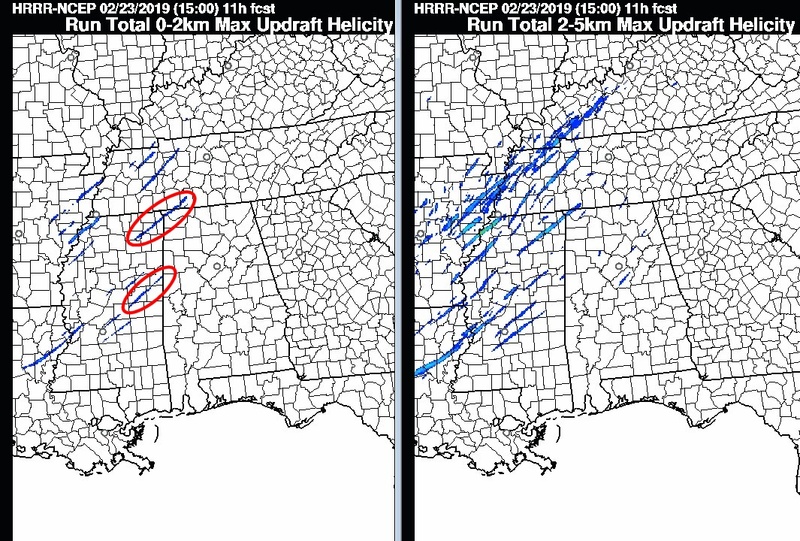 Cold-core setups in the warm season often lack low-level wind shear except near the warm front and boundary intersection, but that certainly wasn't the case here with this cool season event. And lastly, this event, along with the 7/19/18 cold core tornado event in Iowa this year, makes me wonder if model forecast graphics of 0-3 km CAPE (not found on commonly-used model forecast web sites apart from the SPC mesoanalysis) should be more available for web users. 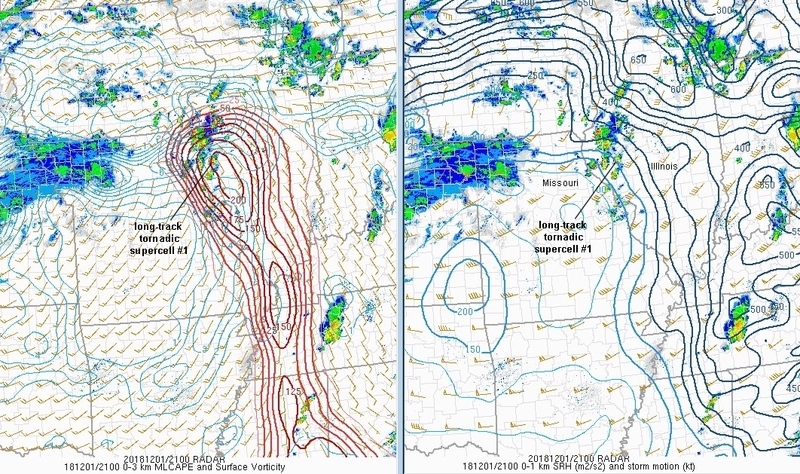 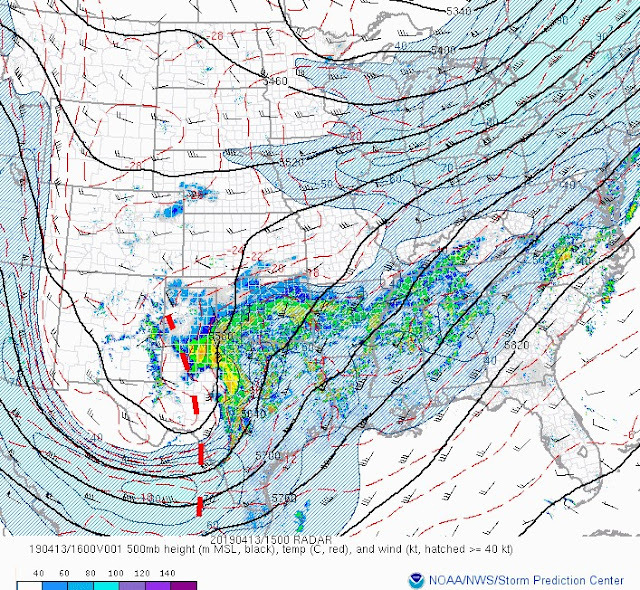 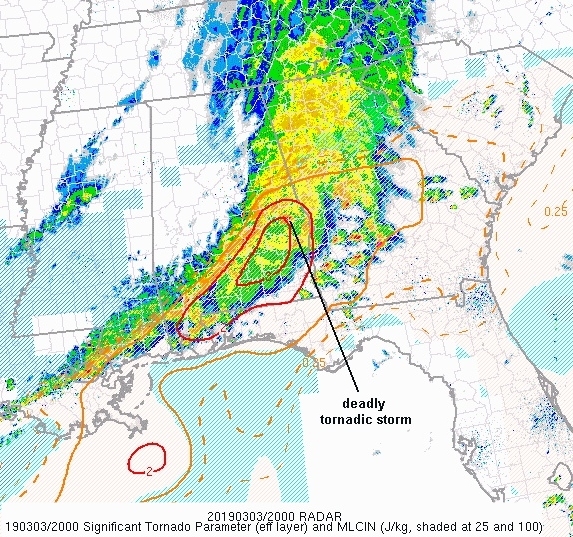 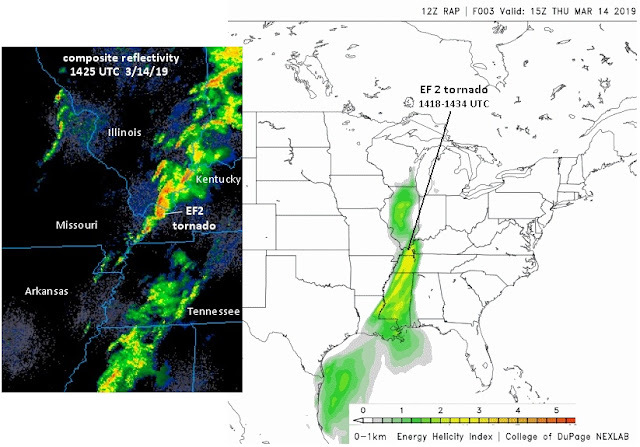 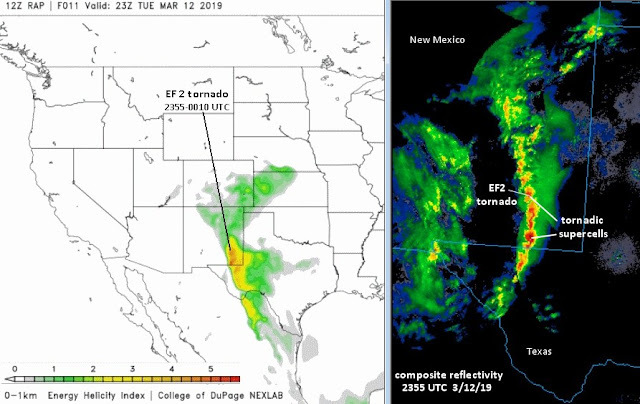 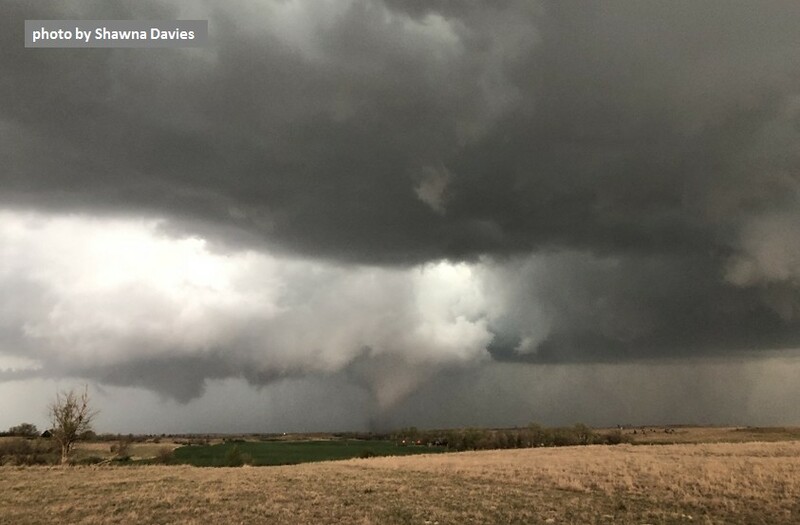 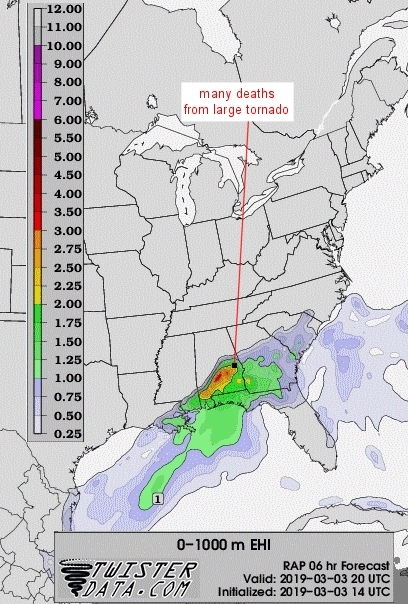 An incorporation of low-level CAPE into composite tornado parameters might also help in picking out these stronger cold-core type tornado outbreaks. 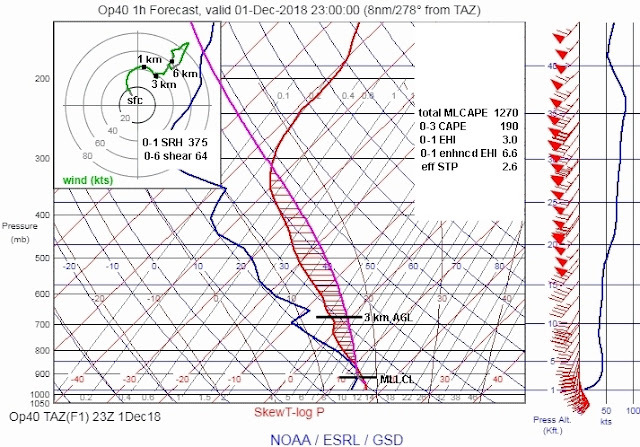 In any event (pun intended), this was certainly a fascinating case for the first day of December.